Altoona, IA is located in Polk County and is part of the Des Moines – West Des Moines Metropolitan area. You may know this city as the home of the amusement park Adventureland, or the horse racing track, Prairie Meadows. Altoona was also the first town in central Iowa to open a Bass Pro Shops retail store. If you live in or near Altoona, IA, and are looking to build, let Greiner Buildings be your number one choice. Residential Living Quarters: Pole Barn Homes are becoming increasingly popular in the Midwest. Our company has founded the Shome™, a perfect combination of hobby shop and home to provide you with a modern country lifestyle. Agriculture Buildings: Greiner Buildings is known for our attractive yet durable agriculture buildings. No matter what size or style you are looking for, we will come up with a CAD design and build according to your specific needs. Cattle Sheds: Our cattle sheds are constructed with an innovative roof, quality ventilation system, and increased accessibility to ensure the comfort and security of your cattle. Horse Barns: If you are looking to build a stable, stall barn, or riding area, Greiner Buildings can help. We install haylofts, insulated roofs, and insulated walls. We also specialize in designing custom horse stalls. Hobby Shops: Whether you work from home or have a hobby that you love, we can construct a custom hobby shop to suit all your needs. We can build a wide open space for your workshop or a compartmentalized area featured with a kitchenette. Commercial Buildings: The team Greiner Buildings is always up to date with building codes and can construct your public service building accordingly. Our designs are tailored to your personal needs and preferences. 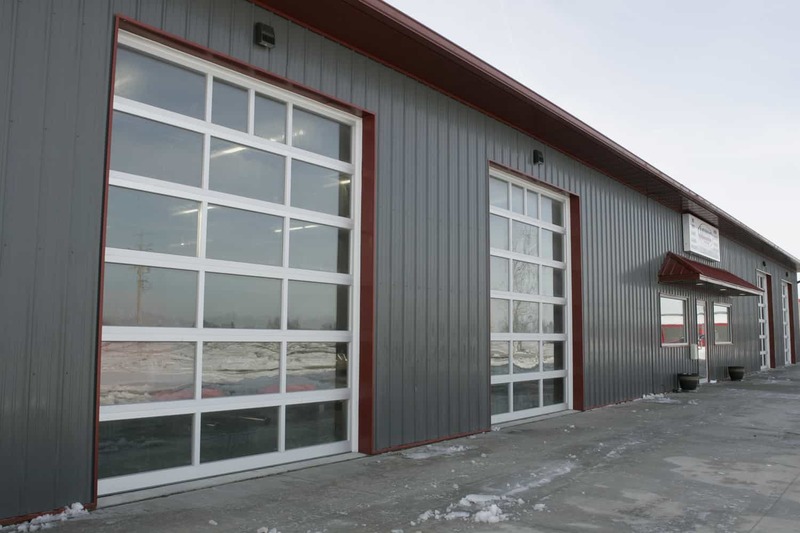 Insulated Shops: If you are wanting to build a shop on your property, for working or storage purposes, Greiner Buildings is your number one choice. Our shops are built with the highest quality materials on the market and installed with quality insulation to protect your equipment from harsh weather and moisture damage. Mini Storage: Our storage units are known to be easily accessible, low maintenance, and long lasting. For more information about any of our post frame buildings and pole barns, contact Greiner Buildings today. We are your design, building, and repair professionals in Altoona, Iowa. Call us today to get started with your free estimate!